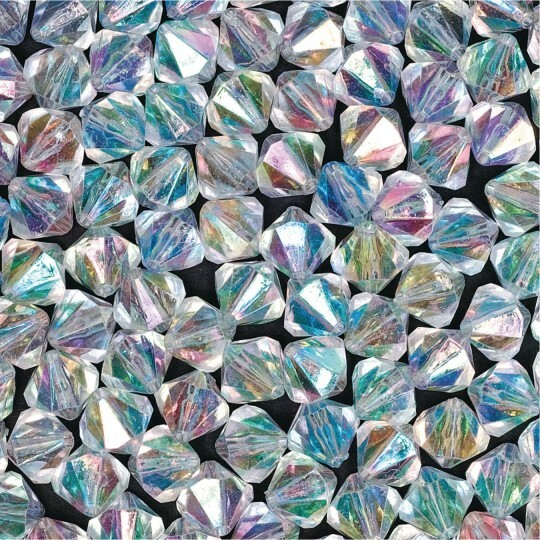 Plastic prism beads are sparkling, brilliant and colorful. 12mm beads with 2mm hole. 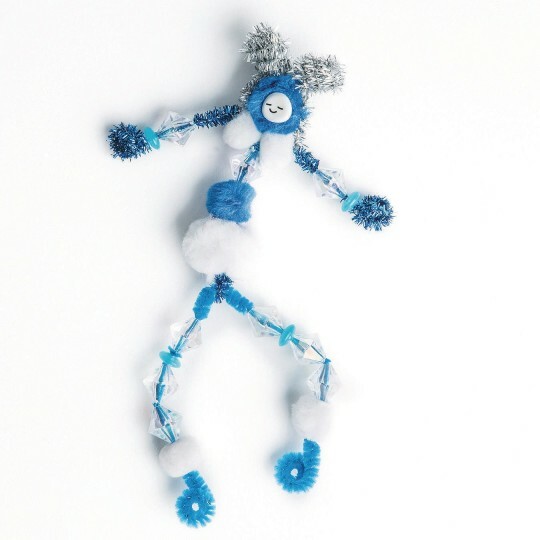 approx 325 beads per 1/2-lb bag. 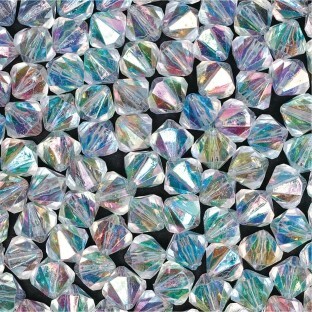 Plastic prism beads are sparkling, brilliant and colorful. 12mm beads with a 2mm hole. Approx. 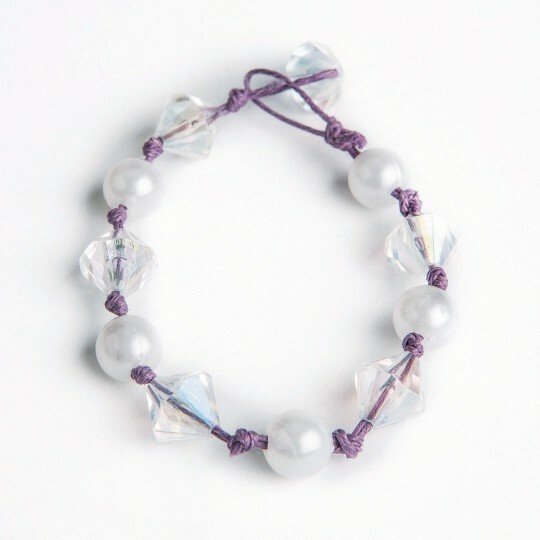 325 beads per 1/2 lb. I had the children use these as jewels in cave dioramas. These are eye catching beads. Though they are plastic they have that bright precious gem look. Great for residents with limited dexterity. Large openings make stringing easy.